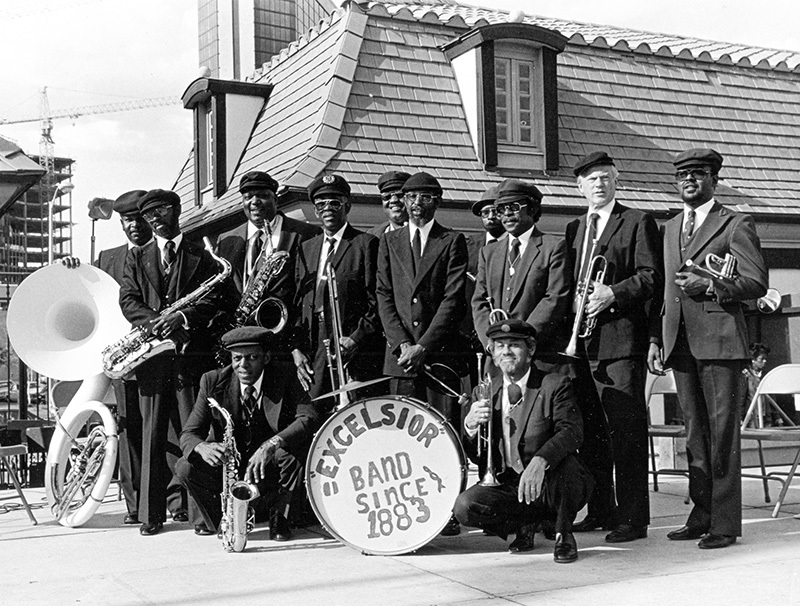 The Excelsior Band of Mobile was founded in 1883 by Creole Fire Company president John A. Pope to celebrate the birth of his son, John C. Pope. The marching brass band is best known for its Mardi Gras performances but also plays other engagements such as weddings and jazz funerals. Courtesy of The Doy Leale McCall Rare Book and Manuscript Library. Photograph by Michael Thomason.